The Canadian Council for Career Development (3CD) is partnering with the Canadian Career Development Foundation (CCDF) to implement the project, Supporting Canadians to Navigate Learning and Work. Working with all provincial associations to explore possibilities for stronger cohesion and professional mobility through a pan-Canadian approach to certification. The project began on September 10th and will end in late August 2021. It will build on the strong foundations established through the original S&Gs and the ongoing dedication of two 3CD working groups: the Canadian Standards and Guidelines for Career Development Practitioners (S&Gs) Working Group and the Certification Working Group. It will also build on the enormous efforts and investments of provincial associations in building professional identity, promoting professional development and advancing certification. 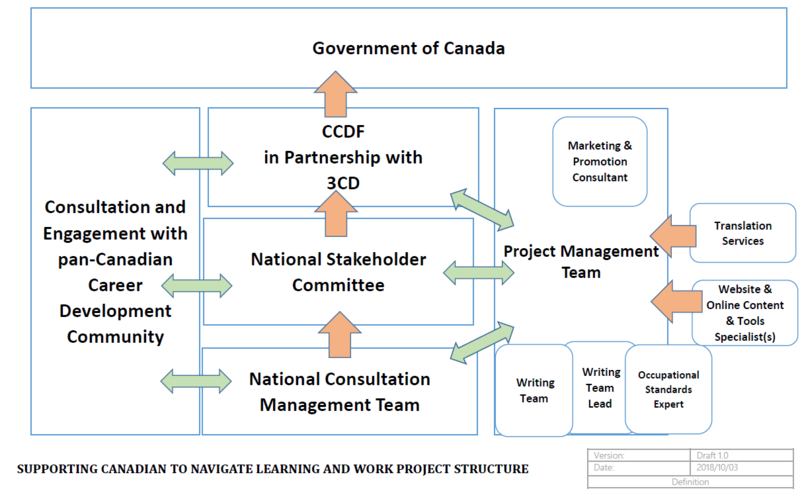 Consistent with the rollout of the original S&Gs project, the CCDF and the 3CD will endeavor to conduct all phases of this Supporting Canadians to Navigate Learning and Work project with the principles and values of collaboration, inclusivity, and transparency uppermost in mind. Encourage employers to move toward endorsing and requiring CDPs to hold provincial certification as a recruitment requirement. contribute to shaping the project’s direction. The record of discussion, presentations, and supporting documents from the NSC meeting are available through NSC members, 3CD, and CCDF. evaluate the project as defined in the performance measurement plan. In the coming months, the project will focus on extensive consultations with stakeholders across the county. All stakeholders who express interest in participating will be included. Multiple methods of consultation will be utilized, including focus group meetings, regional coffee sessions, structured interviews with key experts, surveys, polls, conference presentations, conference coffee sessions, and more!